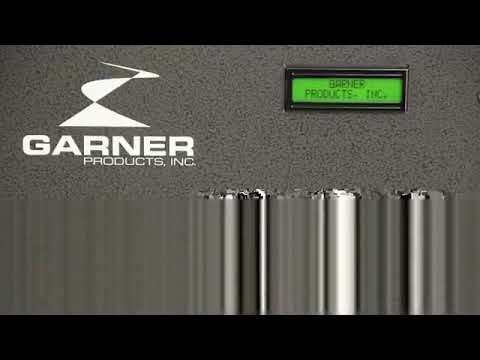 The Garner DDR-1 System is an end of life-cycle process that ensures the safety of your information by securing, degaussing and destroying your media. The DDR-1 System is both a secure area to store media before degaussing and a workstation to perform the degaussing and destroying operations. Colour coded bins and a special recycling container categorize the status of the media. The DDR-1 combines the SW-1 Workstation, the HD-3WXL Degausser, the PD-4 Hard Drive Destroyer and the colour coded bins all in to one compliance package. Theft or loss of hard drives is a serious security threat. Controlling your magnetic media during the end of life-cycle process in a manner that conforms to government mandates is key to any compliance policy. The DDR-1 Secure Workstation allows users to deposit media ready to be decommissioned, sanitized, erased or destroyed in the secure drop slot on the top of the workstation. Media can be removed for processing by opening the locked cabinet underneath the table to begin the decommissioning process. 1) Media is removed from the Red "Media to be Degaussed" bin and inserted into the HD-3WXL Degausser. The HD-3WXL erases all information in less than six seconds and deposits it into the Yellow "Degaussed" bin. 2) Media is then removed from the Yellow bin and placed in the PD-4 Physical Hard Drive Destroyer where the hard drive is physically bent, broken and mangled. 3) The mangled media is then placed into the Blue Recycling container ready for recycling or disposal.